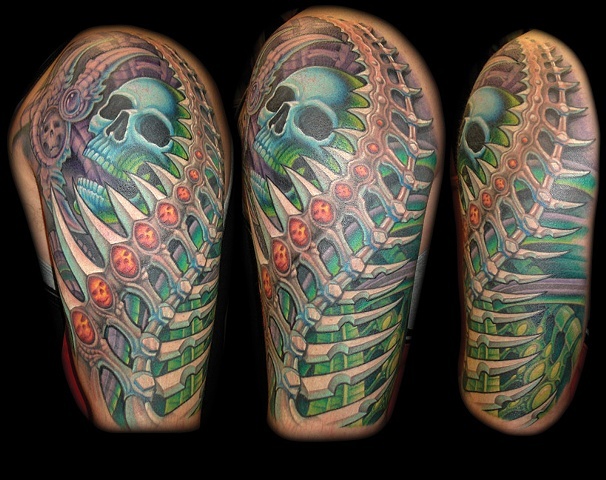 I began this tattoo with all markers, and the only direction was "bio mech details, with skulls". It was Bob's first tattoo, and it was done over a few sessions. This is still one of my favorite pieces due to the repeated skull gemstone details.